Draft: 2007, Atlanta Braves, 2nd rd. He and his wife Chelsea welcomed their first child, Charlie, in September of 2016... Attended El Modena (Calif.) High School. Played all 162 games for the second time in his career, hitting .309 (191-for-618) with 23 home runs, 44 doubles, 98 RBI and a .892 OPS for his third consecutive season of .300, 35 doubles and 20 home runs...In franchise history, only two other Braves, Hank Aaron (five such seasons) and Chipper Jones (four), have multiple such seasons ... Named to his third All-Star Game and selected to start after garnering 4,039,219 votes to lead the N.L., becoming the first Atlanta player to lead the N.L. in fan voting since Dale Murphy in 1985 ... Led the National League in hits, becoming the first Braves player to do so since 1992, when Terry Pendleton had 199 to tie Pittsburgh's Andy Van Slyke for the most in the league...Prior to Freeman, the last Braves player to lead outright was Pendelton (187) in 1991 ... Finished with 71 extra-base hits, his fourth season surpassing 65 and his third straight...He is one of seven Braves in the live-ball era (since 1920) to have four seasons with at least 65 extra-base hits...Hank Aaron has the most of any player in baseball history with 16, while Andruw Jones is second in team history with eight...Chipper Jones has seven, and Eddie Mathews has six...Wally Berger had five, while Dale Murphy also had four ... Finished with a career-best 44 doubles to tie for the National League lead…His total was tied for the sixth most in franchise history ... Compiled three double-digit hitting streaks this season...Nick Markakis also had three such streaks...They became the first Braves players with three such streaks since Martín Prado also had three in 2011 ... Reached multiple times in the first seven games of the season, tied for the longest such season-opening streak in Atlanta franchise history…Jerry Royster also had a seven-game run to start 1978 ... The last Braves players to open a season with a longer streak was Hall-of-Famer Eddie Mathews, who went 14 straight in 1963 ... Swiped his 10th base of the season, 9/19 vs. StL, reaching double-figures in steals for the first time in his career...He became the fourth first baseman in Braves franchise history to go 20-10 in a season and the first since Dale Murphy in 1978…Orlando Cepeda also did it in 1969, while Earl Torgeson accomplished the feat in consecutive seasons, 1950-1951 ... Hit .315 (114-for-362) with 16 home runs and 61 RBI in 94 games prior to the All-Star Game... Batted .301 (77-for-256) with seven home runs in 68 games following the break ... Made his eighth consecutive Opening Day start, 3/29 vs. PHI, which extended his Atlanta record for a first baseman and tied the modern era (since 1900) franchise record...Fred Tenney also started eight straight Opening Days at first base from 1900-1907...Overall, since 1900, only Tenney (nine) and Joe Adcock started eight openers at first base for the Braves ... Is 9-for-27 (.333) in opening games...Hit his third career Opening Day home run with a two-run shot in the sixth inning off Holby Milner...Hit a solo shot in his first at-bat of 2016, and also homered on Opening Day in 2013 off PHI's Cole Hamels ... Hit .309 (63-for-204) with 10 home runs and a .922 OPS against lefties…Also hit .309 (128-for-414) against righties ... His .309 batting average against lefties was the second highest among all left-handed batters in the majors…Only Milwaukee's Christian Yelich was better… His 10 home runs were tied for the second most…Texas' Joey Gallo hit 15 ... Hit .327 (49-for-150) with runners in scoring position, eighth best in the National League ... Had a career-best five hits in five at-bats, 5/10 at MIA ... Went 4-for-16 (.250) in four games of the NLDS vs. LAD ... Hit the first pitch of his Game 3, sixth inning at-bat with Alex Wood out to right field for his first career playoff home run…The drive gave the Braves a 6-5 lead and was the latest go-ahead postseason home run by a Braves player since 2010, when Brian McCann hit a solo home run off Madison Bumgarner to break a 1-1 tie in the sixth inning of Game 4 of the NLDS ... Has hit safely in eight of his nine career postseason games (12-for-36, .333). In his eighth professional season - including his seventh full season - at the MLB level, batted .307 with 135 hits, 28 home runs and 65 extra-base hits while setting new career bests in both on-base percentage (.403) and slugging percentage (.586)…Did play in a career-low 117 games due to an injury to his left wrist...Missed 44 games after suffering a non-displaced left wrist fracture on 5/17 vs. TOR... Following his DL stint, which started on 5/19, participated in two rehabilitation games at Triple-A Gwinnett before being activated from the DL and reinstated to the major league roster on 7/4...At the time of his injury, he led the National League with 14 home runs, and ranked second in extra-base hits (26), on-base percentage (.461) and slugging percentage (.748), third in runs (35) and sixth in batting average (.341)...Upon his return from the disabled list on 7/4, appeared in 16 games defensively at third base (between 7/4-31), his first appearance at the position in the majors...Committed one error in 35 total chances for a .971 fielding percentage...Appeared in five games at third during his minor league career prior to this season, all coming in 2007...Collected his 1,000th hit on 7/6 at WSH...Became the eighth quickest Braves player since 1900 to get their first 1,000 career hits in a Braves uniform, as his 1,000th hit came in his 949th career game...The last Brave to do it faster was Chipper Jones, who recorded hit number 1,000 in career game 894… Freeman also became the fifth player to reach the 1,000 hit milestone with the Braves prior to their 28th birthday, joining Hank Aaron (25), Andruw Jones (26), Eddie Mathews (26) and Joe Torre (27)...Freeman celebrated his 28th birthday on 9/12...Averaged a home run every 15.71 at-bats, the best rate of his career...Previous high was 17.32, accomplished during the 2016 season...Finished the season with a career-best .582 slugging percentage...That mark ranks as the ninth-best percentage in Atlanta franchise history (sixth overall player to rank among the top nine players)... Opened the season ranked 12th on the Atlanta all-time hit list with 949 base hits…Finished the season with 1,084 hits which places him sixth on the Atlanta all-time hit list...Placed in the top 10 in several offensive categories among all National League hitters including slugging percentage (3rd, .586), batting average (10th, .307) and on-base percentage (7th, .403)...Hit .346 (27-for-78) with a .509 on-base percentage when batting with runners in scoring position…His .346 average was the third highest of his career and ranked 12th among National League hitters...Slugged 28 home runs after hitting a career-best 34 in 2016...Is only the second Braves player in the last 10 seasons to have 25 homers in consecutive years. (Justin Upton - 27 in 2013, 29 in 2014)...Reached base in an Atlanta-franchise record 12 consecutive plate appearances from 4/16-19...Walked in his final two plate appearances on 4/16, reached base four times on both 4/17 and 4/18, and walked and homered his first two times up on 4/19...Freeman eclipsed Jeff Burroughs' mark of 11 straight plate appearances, set in April of 1978...Had a season-long 12-game hitting streak from 8/12-23…Batted .412 (21-for-51) with a 1.072 OPS during the run...Had his first career game with four extra-base hits after going 4-for-4 with two doubles and two home runs on 4/17 vs. SD …It also marked his ninth career game with a career-most four hits...On 5/2, hit his 10th homerun of the season in his 25th game of the year…Reached double-digit home runs quicker than in any previous season in his career…Previous best was 53 games in 2015...Scored a run in a career-high 10 consecutive games, 4/21-5/2...On 4/30 at MIL, hit his ninth home run of the season after swiping his fourth base of the season the night before...Became the first player in Atlanta franchise history to hit nine homers and steal four bases by the end of April...Since 2000, only nine MLB players have done it...On 4/28 at MIL, hit a 1-1, ninth-inning pitch over the wall in center field to put ATL up 10-8...The drive was his fifth career homer in the ninth inning or later that gave the Braves a lead...That total is tied for fourth most in Atlanta franchise history...Only Chipper Jones (18), Andruw Jones (17) and Dale Murphy (7) have more...Had his 10th and 11th career two-homer games eight days apart, on 4/9 at PIT and 4/17 vs. SD...Those were his only multi-homer games of 2017. Finished sixth in the National League MVP voting in his seventh season at the Major Legaue level and 10th professional season overall...Batted .302 with career highs in hits (178), home runs (34), extra-base hits (83), on-base percentage (.400) and slugging percentage (.596), while driving in 91 runs in 158 games...Ranked fifth in the National League in home runs (34), tied for second in doubles (43), third in slugging percentage (.569) and fourth in on-base percentage (.400)...Earned his first career National League Player of the Month honor in September after leading the Majors with a .486 on-base percentage and leading the N.L. with a .681 slugging percentage during Sept. and October...He batted .385 (tied for the N.L. lead) during the season's final full month (Sept.) with nine doubles, seven home runs, 25 RBI and 23 runs scored in 27 games... Was a three-time National League Player of the Week selection, weeks ending 9/25, 9/4 and 6/19...Led the National League with 83 extra-base hits, finishing four off the Major-League lead (David Ortiz, 87)...Became just the second Atlanta player to post 80 extra-base hits in a season joining Chipper Jones, who had 87 in 1999...Posted a career-high 30-game hitting streak 8/24 9/28 to become the ninth player in MLB history to have a 30-game hitting streak in a season in which he hit at least 30 home runs (Elias Sports Bureau)... Freeman's streak was the longest hitting streak in the majors since 2011, when Dan Uggla hit safely in an Atlanta franchise-record 33 straight games...His streak was also the third-longest streak in Atlanta history...Clubbed his career-high 34th home run of the season, 10/1...Became the sixth first baseman in franchise history to hit at least 34 home runs in a season and the first since Andres Galarraga (44) in 1998...Had a career-high 46-game on-base streak, 8/6-9/28...Hit .390 (64-for-164) with a .512 on-base percentage during the streak, which equaled the longest in the majors in 2016 (Washington's Jayson Werth)...The streak also ranked as the third longest streak in Atlanta history and was the longest by a Braves player since Gary Sheffield set the Atlanta record in 2002 (52 games)...Finished the season with 33 home runs, 43 doubles and six triples, joining Hank Aaron (1959) as the only two players in Braves franchise history to record at least 30 home runs, 40 doubles and five triples...In 70 games after the All-Star break, posted the second-best batting average with runners in scoring position (.442, 23-for-52) and the fourth-best on-base percentage (.433), while scoring 59 runs which tied for second in the majors with teammate Ender Inciarte...From 6/1 through the end of the season, batted .327 (130-for-398) with 35 doubles, 26 home runs, 76 RBI, a .428 on-base percentage, a 1.068 OPS and 78 runs scored in 108 games...Hit for the cycle on 6/15 vs. CIN...Singled in his final at-bat in the 11th inning to secure the feat...It was the first of Freeman's career as he became the third player in Atlanta history to do it and first since Mark Kotsay on 8/14/2008. Following a 2014 campaign in which he played in all 162 games, experienced his first injury-plagued season and played in a career-low 118 games. ... Batted .276 (115-for-416) with 27 doubles, 18 home runs, 66 RBI and 62 runs. ... Had two separate stints in the disabled list. The first was from 6/18 through 7/25 with a right wrist contusion. His second was from 8/4 through 8/19 with a strained right oblique. ... Prior to his 6/18 disabled list stint, was batting .299 (76-for-254) with 20 doubles, 12 homers and 26 RBI through the first 43 games of the season. ... On 6/18, snapped his Major-League-leading consecutive games played streak of 234 games (missed the contest due to a strained right oblique). Freeman had played in all of the Braves' 234 games (233 starts) dating to 9/24/13. ... Snapped his streak of 217 consecutive starts (dating to 9/24/13) on 5/31, but entered the game in the bottom of the seventh inning at 1B and stroked a solo HR in the ninth inning. ... Led the Majors with a .376 (35-for-93) batting average with runners in scoring position. ... On 9/25 at MIA collected his eighth three-hit game of the season. Since the start of the 2011 season, ranks second in the NL with 65 three-hit efforts. ... Collected a career high-matching five RBI (fourth time) on 9/23 at NYM, including three in the ninth inning on a three-run home run that gave Atlanta a 6-3 lead. Freeman entered the game as a pinch-hitter in the seventh and went 2-for-2 with a two-run double and a three-run homer in his two at-bats. ... His three-run home run in the ninth inning on 9/23 put the Braves up 6-3 and was his seventh GW-RBI of 2015. ... Stroked career home run No. 100 on 7/31 at PHI. Became the third-youngest Atlanta Brave to reach the 100-homer mark behind Andruw Jones and Bob Horner. ... In 66 games prior to the All-Star break, batted .299 (76-for-254) with 20 doubles, 12 homers and 41 RBI. In 52 games post All-Star break, he batted .241 (39-for-162) with seven doubles, six homers and 25 RBI. ... Matched his career high with four hits (third time) on 4/28 vs. WSH. In his fourth full season in the Majors, was one of four Major League players to play in all 162 regular season games joining KC's Alcides Escobar, TB's Evan Longoria and SF's Hunter Pence...Set the Braves franchise mark and led the Majors with a career-high 1,449 innings played...Produced a .288 (175-for-607) batting average with 65 extra-base hits, including 18 home runs and 78 RBI...Collected a career-high 43 doubles, tops among National League first basemen, fifth overall in the Majors and second in the National League...His 43 doubles mark also set the Braves franchise record for most doubles by a Braves first baseman...His .288 batting average ranked tied for second among National League first basemen, while his .386 on-base percentage ranked tied for first...Drew a career-high 90 walks, easily eclipsing his previous record of 66 (2013) and tops among Major League first baseman. Ranked fifth in the Majors and third in the National League...Reached base safely multiple times in 89 games, the most in the Majors (Elias Sports Bureau)...Ranked tied for 11th in the National League with 48 multi-hit games. Had 16 games of three-plus hits which ranked tied for sixth-most in the Majors...Over the final two months of the season, from 8/2 on, batted .310 (57-for-184) with 15 doubles, three home runs and 19 RBI. Had a .423 on-base percentage and a .409 batting average on balls put in play in that span...Reached base safely via hit or walk in 26 consecutive games, 6/23-7/8: 353 (36-for-102), .442 OB%...Batted .300 (128-for-426) with 13 home runs against right-handed pitchers, compared to a .260 (47-for-181) mark with five homers vs. left-handed pitchers...His season-best hitting streak was 11 games, 9/3-15: .350 (14-for-40), four doubles, one home run, four RBI...Went 5-for-14 (.357) in bases loaded situations...Reached base safely via hit or walk in 17 consecutive contests 4/1-20. Batted .422 (27-for-64) with seven doubles, five home runs, 14 RBI, a .506 on-base percentage and a 1.272 OPS in that time span...Had a career-high homerless at-bat streak of 83 from his second at-bat of 6/27's game at PHI to his second inning at-bat on 7/23 vs. MIA...Named to his second career All-Star team as a player ballot selection. Entered the game in the sixth inning as a defensive replacement (committed one error) and collected his first career hit in a Mid-Summer Classic with a single to right field in the eighth inning. Finished fifth in the National League Most Valuable Player of the Year voting, finishing the season with career highs in batting average (.319) and RBI (109), while matching his career best of 23 home runs. His .319 (176-for-551) batting average ranked as the third highest mark in the National League and was tied for sixth in the majors. Posted a .443 (58-for-131) batting average with runners in scoring position, the second highest average in the majors. Collected 45 two-out RBI which ranked tied for second in the National League and tied for fifth in the majors. Was the only player in the National League to rank in the top 10 in both night and day batting averages (day: .327; night: .316). Ranked tied for second in the National League and tied fourth in the majors with 109 RBI, topping his career best of 94 in 2012. Led the team and ranked tied fourth in the National League with 15 game-winning RBI. Went 7-for-10 (.700) with three doubles and 17 RBI in bases loaded situations. His average tied for the third best mark in the majors in bases loaded situations. Had 52 games of two or more hits, the fifth-most in the National League. Made his second career appearance on a postseason roster, starting all four of the National League Division Series games vs. LAD. Went 5-for-16 (.313) with one extra-base hit in four NLDS games. In Game 2, stroked a leadoff double in the fourth inning and came around to score, giving the Braves a 2-1 lead. Voted by the fans to his first career All-Star game. In the MLB.com Final Vote contest, Freeman received 19.7 million votes, an all-time Final Vote record. Was unable to participate in the All-Star game due to a left thumb injury. Batted .380 (35-for-92) with six home runs and 21 RBI in the month of September. Owned a .349 (74-for-212) average with 12 home runs and 44 RBI over his final 57 games, from 7/28 through the end of the season. From 5/15 through the end of the season, batted .329 (148-for-450) with 21 home runs, 90 RBI and 45 multi-hit games over 121 games. His two-run home run off MIA's Jose Fernandez in the first inning of 8/30 game snapped 0-for-14 skid and proved to be the game winner. Drilled first career Opening Day home run with a two-run, two-out shot in 4/1's first inning vs. PHI. In his first full season in the Majors, put together a fine rookie campaign, batting .282 (161-for-571) with 32doubles, 21 home runs and 76 RBI...Finished second in Rookie of the Year voting to teammate closer Craig Kimbrel. Freeman received 21second-place votes and seven third-place votes...Named Baseball Digest's Rookie of the Year...Won the National League Rookie Triple Crown, leading all NL rookies in home runs (T1st, 21), batting average(.282) and RBI (76). He led all major-league rookies in doubles (32) and on-base percentage (.346) andfinished second in at-bats (571) and runs scored (67). His .448 slugging percentage led all NL rookies...Named the National League Rookie of the Month for July after leading all Major League rookies with 38 hits,a .362 batting average and a .433 on-base percentage in 27 games during July. He also paced the NL with sixhomers and 17 runs scored and tied for the lead with 18 RBI while adding seven doubles and a .600 sluggingpercentage. He hit safely in 23 of his 27 July contests, including each of the last 15 games during the month...Became just the eighth rookie in franchise history to hit 20+ home runs and the first to do so since ChipperJones clubbed 23 in 1995...Finished the season with 161 hits, the most among Atlanta-era rookies. Collected 53 extra-base hits, twoshy of tying Ron Gant's 1988 rookie mark of 55...Posted a career-best 20-game hitting streak, 7/17-8/6. Hit .402 (33-for-82) during the streak, which was thelongest by a National League rookie in 2011. According to Stats, Inc., Freeman's streak was the second-longestin franchise history for a rookie. Alvin Dark holds the longest and third-longest rookie hitting streaks, as he hitsafely in 23 straight games in 1948 (then, a month later he began a 19-game streak)...Hit .300 (133-for-444) with 17 HR and 64 RBI over 118 games, from 5/14 through the end of the seasonto raise his season batting average 62 points in that span (from .220 to .282). Through his first 39 games,hit .220 with four homers and 12 RBI...From 6/16-8/22, reached base safely via hit, walk or hit-by-pitch in 54 of his 60 games with an at-bat...Went 3-for-4 with two RBI off Felix Hernandez on 6/29 to become the first Braves rookie to notch three hitsoff a defending Cy Young winner since Francisco Cabrera in 1989 off Orel Hershiser...Belted his first career two-homer game on 7/4 vs. COL...Hit four home runs over four games, 7/4-7, including three homers in a four-at-bat span (five plate appearances),7/4-5. 7/4-5 was also the first time he homered in consecutive games...Batting average by month: April: .225, May: .312; June: .287; July: .362; August: .277, September: .226...Home runs by month: April: 3, May: 2, June: 4, July: 6, August: 3, September: 3...Batted .247 (46-for-186) with seven home runs off LHPs and .299 (115-for-385) with 14 homers vs. RHPs. Tabbed by Baseball America as the Braves' second-best prospect, the 20th-best prospect in all of minorleague baseball and fifth-best in the International League In his first season with Gwinnett (AAA), posted a .319 average with 18 home runs and 87 RBI earningInternational League Rookie of the Year honors. Freeman was the second-youngest starter at AAA...International League Managers rated him the league's best defensive first baseman...As the best offensive performer in the farm system, was named the Braves 2010 Hank Aaron Award winner...Made his Major League debut at first base on 9/1 (0-for-3) after having his contract purchased from GWIwhen rosters expanded that day. Played in 20 games with the big-league Club, going 4-for-24 (.167) withone double, one home run and one RBI...Belted his first Major-League homer 9/21 at PHI with a solo pinch-home run off Roy Halladay...Collected his first career hit 9/5 at FLA with a single up the middle in the ninth inning off Clay Hensley...Ranked in the top three among Braves minor leaguers in seven different offensive categories including:first in home runs (18), RBI (87) and hits (147), second in OPS (.898) and batting average (.319) and thirdin doubles (35) and runs (73)...Hit .268 (33-for-123) vs. LHP compared to .337 (114-for-338) off RHP's in 461 at-bats at GWI...Honored by the Braves organization as GWI's April Player of the Month (.264, 23-for-87, 4 HR and 13 RBI)...Posted two 12-game hitting streaks, 6/11-23 and 6/25-7/6 and reached base safely in 26 straight contests,6/10-7/6...Had one two-homer game 4/22 and had three four-RBI contests 4/22, 7/19 and 8/26...Named to the IL postseason All-Star team...Following the season, was limited to just five games (.125, 2-for-16) with the Phoenix Desert Dogs of theArizona Fall League due to a left thumb injury. Enters the 2010 season ranked by Baseball America as the Braves' second-best prospect, the eighth-best Southern League prospect and the fourth-best Carolina League prospect...Named the "Best Defensive First Baseman" in Double-A and Single-A by Baseball America and was also rated by Carolina and Southern League managers as the best defensive first baseman in both leagues...Was ranked the 59th-best prospect in all of baseball by MLB.com and ESPN tabbed him as 67th-best...Opened the season at High-A Myrtle Beach and had a late-June promotion to Class AA Mississippi where he would play the remainder of the season. Missed final two weeks of the season with left wrist soreness...Hit .282 (114-for-404) with 27 doubles, eight HR and 58 RBI over 111 games between the two stops...Ranked in the top 10 in Atlanta farm system in several categories, including doubles (T5th-27), hits (7th-114), RBI (7th-58) and runs (10th-58)...Was named Myrtle Beach's June Player of the Month (.337 average, 30 hits and eight doubles)...Had back-to-back two-run HR games, 4/13-14. Also, knotched first career two-homer game, 6/16 vs. LYN...Bumped his average 51 points, from .241 to .292, over a 13-game span, 5/6-22, by hitting .404 (19-for-47)...Hit a combined .263 (36-for-137) vs. left-handed pitchers and .292 (78-for-267) vs. righties...Played in 12 games for the Peoria Saguaros of the Arizona Fall League (.267, 3 2B, 1 HR, 5 RBI). Entered 2009 season as Baseball America's 87th-ranked prospect and ninth-best first-baseprospect...Was named the recipient of the 2008 Hank Aaron Award, presented annually to the top offensiveperformer in the Braves' minor league system...Was ranked as the Braves fifth-best prospect following theseason by BA and was ranked the 38th-best minor leaguer in MLB.com's Top 50 list...Was named SouthAtlantic League Mid-Season and Post-Season All-Star and was named a High-A All-Star by BA...Played entireseason at Rome at just 18 years of age, yet ranked second in the SAL with a .521 slugging percentage,ranked third with seven triples and 256 total bases, ranked fourth with 95 runs batted, 155 hits and 58 extrabasehits, ranked fifth with a .316 average and tied for fifth with 33 doubles...Led Braves minor leaguers in hitsand RBI and tied for the lead in batting average...Was in the top ten in doubles (T2nd), OPS (4th), HR (7th)and runs (10th)...Was named the Rome Player of the Month for May and July...Was a two-time SAL Player ofthe Week, for the week ending 7/14 (.484, 5 2B, 2 HR, 9 RBI) and the week ending 7/21 (.391 avg., 2 HR, 5RBI)...Hit .285 with a .339 OBP and .484 SLG in the first half, but hit .349 with a .418 OBP and .562 SLG inthe second half. Led the GCL Braves his first professional season in games (59), at-bats (224) and home runs (6)and ranked second in hits (60), runs (24), doubles (7) and runs batted in (30). July 4, 2017 Atlanta Braves activated 1B Freddie Freeman from the 10-day injured list. July 1, 2017 Atlanta Braves sent 1B Freddie Freeman on a rehab assignment to Gwinnett Braves. May 18, 2017 Atlanta Braves placed 1B Freddie Freeman on the 10-day disabled list. Left wrist fracture. August 19, 2015 Atlanta Braves activated 1B Freddie Freeman from the 15-day disabled list. August 16, 2015 Atlanta Braves sent 1B Freddie Freeman on a rehab assignment to Gwinnett Braves. August 13, 2015 Atlanta Braves sent 1B Freddie Freeman on a rehab assignment to GCL Braves. July 25, 2015 Atlanta Braves activated 1B Freddie Freeman from the 15-day disabled list. July 24, 2015 Atlanta Braves sent 1B Freddie Freeman on a rehab assignment to GCL Braves. April 22, 2013 Atlanta Braves activated 1B Freddie Freeman from the 15-day disabled list. April 19, 2013 Atlanta Braves sent 1B Freddie Freeman on a rehab assignment to Gwinnett Braves. April 7, 2013 Atlanta Braves placed 1B Freddie Freeman on the 15-day disabled list. Strained right oblique. October 13, 2010 Atlanta Braves activated 1B Freddie Freeman. October 7, 2010 Atlanta Braves reassigned 1B Freddie Freeman to the minor leagues. September 1, 2010 Atlanta Braves selected the contract of 1B Freddie Freeman from Gwinnett Braves. 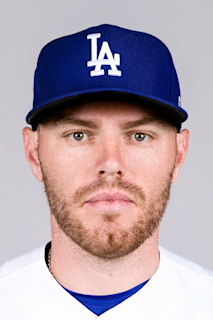 August 31, 2010 Freddie Freeman assigned to Phoenix Desert Dogs. April 3, 2010 Freddie Freeman assigned to Gwinnett Braves from Mississippi Braves. February 17, 2010 Atlanta Braves invited non-roster 1B Freddie Freeman to spring training. September 25, 2009 Freddie Freeman roster status changed by Mississippi Braves. August 24, 2009 Mississippi Braves placed 1B Freddie Freeman on the 7-day disabled list. July 3, 2009 1B Freddie Freeman assigned to Mississippi Braves from Myrtle Beach Pelicans.